Every married couple wants to enjoy parenthood. After getting children sometimes parents feel that it is not an easy task to raising a family. Then they understand that they have to learn & understand the best ways to raise their family. For parents raising a family while keeping their life balanced is basically an art & it can be developed by using simple techniques. Following are Top 10 Parenting Tips which can help every parent to balance their life while raising their family. Know your Kid’s Strength & Weakness: Every Parent should identify weakness & strength of their kids which can help them to build their kid’s self-esteem, to develop confidence & to teach him other aspects of life. E.g. If a child analyze things fast & reply fast, with this ability if he disrespect those who takes more time in analyzing things then parents should make him understand to use his strength to help others or in any other positive manner not for disrespecting others. Same if a Kids has any weakness then parents should encourage him/her to overcome that problem by developing confidence & self-esteem in that Kid. Kids understand & listen carefully how to handle or correct adverse situation & behavior when their dignity is intact. Punish Kids or Praise them & Reward them: Punishing a child is not as effective as Praising them & Rewarding them. While focusing on weakness parents should also find the ways to assist & help children to develop their full potential. It can be done by praising kids when they little good things like helping someone, parents should reward them for good thing they do. By all this when kids develop their potential then their weakness will also overcome by their positive attitude & talents. When kids are encouraged & parents help them on their weakness then it will work more effectively. By working on these two ways kids will overcome their weakness & will acquire talents, self-confidence to compensate for any weakness or any other deficiencies. Avoid negative emotions like anger, ridicule & sarcasm: If a child has some problem in controlling his behavior or some negativity, it will feel him/her worse. Parents should handle this situation with love, Short & Mild suggestions. Like if a child has problem in learning & he/her develop some negative thoughts then parents should teach them learning tips & tricks with love so that they can develop positive mindset & attitude towards there weakness & can overcome over their problems. Comparison between Siblings: Parents should always note that if anyone of their kids fells that other one is favored. If this situation occurs then parents should clear & make kids understand that all kids are equal to parents. Because if a kid feels that his/her sibling is favored then it can create rivalry which may last the rest of their lives & may cause more problems in family. Make sure your all kids know that their parents love them equally. Parents can get support from outside if they need: Life with children is like a roller coaster ride. Parents have to solve, help & resolve all their children problems in any way, it may be helping them in career decision making or helping them in any other way. If parents fail to help their kids in their crucial time then it will create negative effect over children. 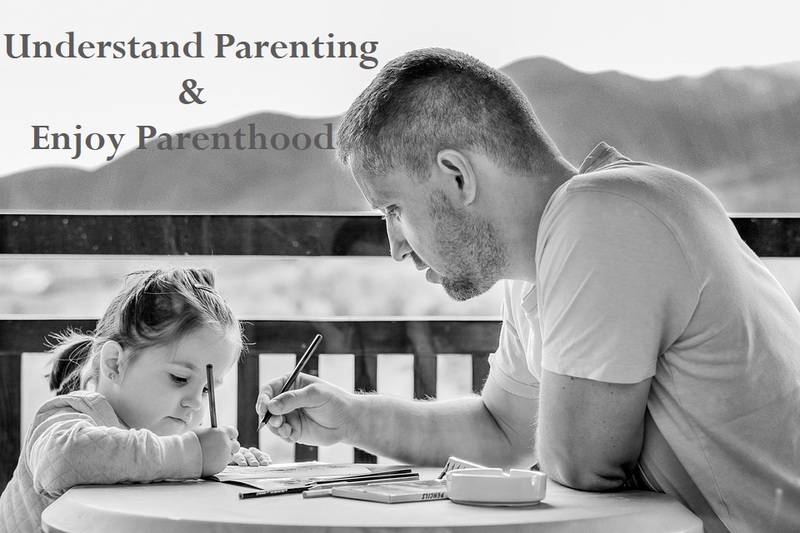 So parents are suggested that if they need any help from their friends, from experts or from any other person they should go for it to help their kids because there will be negative aspects to child rearing. Positive Attention & Negative Attention: Children always need positive attention from parents & family. If parents don’t give positive attention they may seek for negative attention because any attention is better than ignorance. So parents are advised to show positive attention to children. Love, Care & Positive attention are the greatest healers. Monitor Child’s use of the Internet: Parents should have a eye on their Kids use of Internet. There are different types of stuff over Internet which can harm your kids. So watch kids internet uses, get software which can control their internet access to dangerous websites & programs & can show you their details of website they visit & monitor their chats. Life changes when you become Parents; Accept it: When you have a child, it is advised to change accordingly. Change your daily routine, manage time to spend with your children, take interest in their games and participate in little activities they do. All these will help you to make relationship & family bonding more strong. Parent by example: Parents should think that their little children are like little copy machines who will copy everything you do. So parents should not behave badly & avoid every activity which can affect their little ones in a negative way. Parents should always try to become example in front of their children. Never give up on your child: All children problems are not so big which can’t be resolved. Resolve & worked on your children problems with humor, goodwill, Perseverance & Love. With good pparental support most troublesome children have become amazing person in their future. So don’t give up on your child handle situation beautifully with caring nature & love. In future what your Child will be? It all depends on his/her family life & on their Parents. Parents should give all they can, keep themselves cool, keep themselves connected with children always. By following all these simple tips will result in surprise, joy & will reward parents.